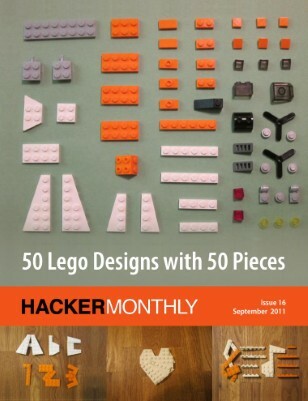 In this September issue, Tyler Neylon shows you his 50 lego designs with 50 pieces. And, Jason Freedman gives some golden advice on finding a technical co-founder, Mark Suster tells you what you should do with your service business, and Joe Armstrong (the Erlang creator himself) teaches you how to get started in Erlang and programming. The issue also covers nginx, JSON, distributed system and imaginary numbers.